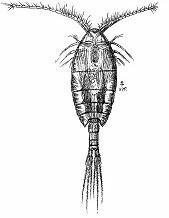 The fourth volume of Sars's comprehensive "Account of the Crustacea of Norway", Copepoda (Calanoida) covered all known Norwegian Calanoida - both freshwater and marine - at the time of publication (1903). 108 plates provide detailed illustrations of all the species; each species description includes male and female characteristics, Norwegian occurrence and world distribution. Out of print and very scarce for many years, 'Copepoda: Calanoida' is now available as a download, for Windows PCs and Macs. The plates, figures and text are reproduced exactly from the original, with the added bonus of being fully cross-referenced and searchable for ease of navigation. Format: PDF E-book by digital download. Download size 38.7 MB.